Joe Siwa braced for impact in his July 1992 game with Orlando but the impact never came. Instead, what came on this rainy night from his outfielder Rex De La Nuez was a clean out - one that closed out a 3-2 Orlando win, according to The Orlando Sentinel. "I was hoping for a collision at home,'' Siwa told The Sentinel. ''But Rex just charged the ball aggressively, and his throw was perfect even though it was a wet baseball." By that point, Siwa had nearly four seasons worth of home-plate collisions behind him as a catcher in the Twins organization. He few other opportunities as a pro. He never got an opportunity for a home-plate collision in the majors. Siwa's career began in 1989, taken by the Twins in the 43rd round of the draft out of Auburn University. He went to Auburn out of Roncalli High School in Omaha, Neb. At Auburn, Siwa knocked in a run in a May 1989 game. That same month, Siwa picked up three hits and two RBI in a 14-7 Auburn win in the NCAA regionals. The Tigers' overall effort, including Siwa's, drew praise from their head coach after that big win. "We just pounded the baseball," Auburn coach Hal Baird told The Associated Press. With the Twins, Siwa played his first season between rookie Elizabethton and single-A Kenosha. He hit .229 in 34 games. In 1990, Siwa got into 67 games back at Kenosha. He also made the jump to AAA Portland, getting six games there. He picked up four hits in 21 at bats at Portland. 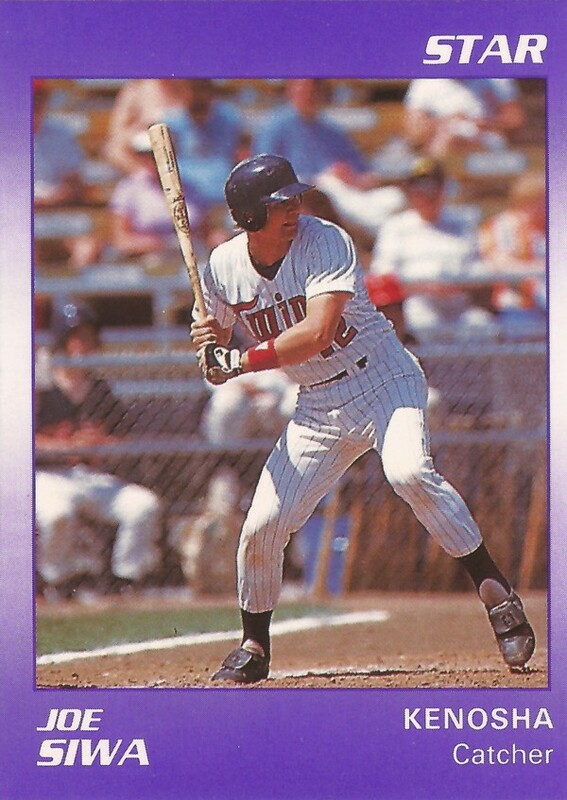 He played most of 1991 and 1992 at AA Orlando, but he got one game each year back at AAA Portland. His average didn't break .200 either year. His 1992 season ended up being his last as a pro. Siwa soon found himself returning home to Omaha. He's also stayed involved in the game. HE serves as owner and general manager of The Strike Zone, a youth baseball instruction business there. In March 2014 Siwa talked to Omaha Magazine about his new non-profit, MVP4Life aimed at offering programs, camps and clinics with the goal of keeping kids in school. "Our job is to get these kids involved and teach them how to listen to instruction, take criticism, and gain a work ethic" Siwa told Omaha Magazine. "We want to put a desire into these kids…great things happen when you work hard."